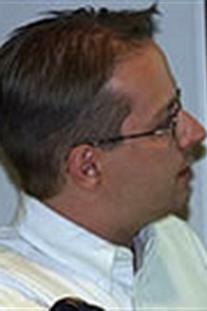 Eduardo Mercado is an Assistant Professor of Psychology at University at Buffalo, The State University of New York. His research focuses on how different brain systems interact to develop representations of experienced events, and how these representations change over time. Dr. Mercado currently uses techniques from experimental psychology, computational neuroscience, electrical engineering, and behavioral neuroscience to explore questions about auditory learning and memory in rodents, cetaceans, and humans.